We're a little bit different. In nearly everything we do. 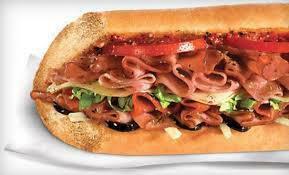 Think all sub sandwiches are equal? Horseradish! Toasting is a wake up call for flavor! We've been sandwich-toasting fanatics since the first day we opened our doors. Everything -- even the Flatbread for our Salads -- gets toasty at Quiznos. Our signature toasting style gets you crisp edges, melted cheese, sizzling meat, and warm bread. Heck, if it doesn't come from Quiznos, it's gonna leave you cold! You can't fake quality. No mystery meat here - we offer high quality meats, sliced daily, melted cheeses, signature sauces and toasted artisan bread for all our sub sandwiches. If you want mystery, go to the public library. You can tell us how you want it. Our Chef Zach is an expert at making sub sandwiches, but you're even experter when it comes to your taste. We offer 23 original sub sandwiches, but you can put on your own spin. Make your sub sandwich your own. Spice it up with our Pepper Bar. Just don't jump over the counter to make it yourself - we've got big, hot toasters back here. GREAT FOOD – AND SO MUCH MORE! This website is full of toasty pages for you to peruse, drool over and taste. Well maybe not taste. For that you have to go to one of our sub shops. 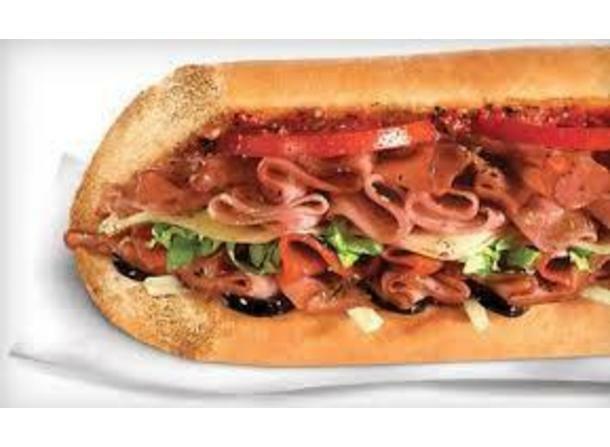 Or better yet - get some Quiznos food delivery to your mouth right now. Enjoy Quiznos, sandwich fan.